The market for third-party funding in Portugal is still small compared with more evolved markets such as the United States, United Kingdom, Australia and Germany, and still unknown to some Portuguese companies and law firms. However, the high costs of pursuing complex arbitration or litigation are paving the way for small and medium-sized Portuguese companies to seek litigation financing. This makes Portugal a country to keep on the radar as a growing market. 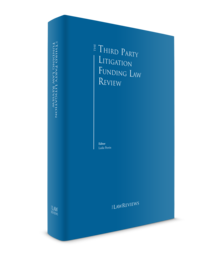 On the other hand, academic discussion surrounding third party funding is also on the rise, with three academic papers on the subject published by Portuguese jurists, including one of the authors of this chapter.2 The 2017 postgraduate course on arbitration at the University of Lisbon School of Law also specifically included a lecture on third party funding. On 9 October 2017, a special event took place in Lisbon to present and discuss, among prominent international and Portuguese academics, practitioners and arbitrators, the 'Draft Report for Public Comment' of the ICCA-Queen Mary Task Force on Third-Party Funding.3 It should come as no surprise, therefore, that this practice looks set only to increase in the context of Portuguese arbitration and litigation. The model adopted in such insurance policies is the typical 'before-the-event' insurance for legal and judicial risks. The insurance companies, in these cases, have virtually no control over the case, with their involvement limited to the payment of judicial costs and attorneys' fees up to the limit covered by the policy. In some cases, they appoint the counsel who will have direct and exclusive contact with the insured party. However, no generic coverage is accorded to cases involving arbitration. This insurance practice has different characteristics and is subject to regulation that is quite distinct from that applicable to third party funding, therefore it is not feasible to transpose directly any of the concepts from this insurance practice to third party funding. Also, as yet, the funding of arbitration cases using the modern business model of third party funding is uncommon in Portugal. Nonetheless, it is undeniable that, in practical terms at least, the notion of a litigation case being financed by an insurance company is not wholly alien to the Portuguese market. However, the same conflicts-of-interest issues that arise in the context of arbitration (the subject of the IBA Guidelines on Conflicts of Interest in International Arbitration (the IBA Guidelines) – see Section IV) should also arise in relation to disclosures of interests for both before-the-event insurance and (albeit less common in Portugal) after-the-event insurance. For although they are different models, the same principles of disclosure apply to funders and insurers, both of whom have a direct or indirect economic interest in the arbitration. There is no specific regulation of third party funding in the Portuguese legal system, or the European Union for that matter. There are also no judicial precedents in Portuguese courts relating to third party funding and no association for self-regulation of funders, such as the Association of Litigation Funders of England and Wales. However, the common law rules prohibiting champerty (supporting litigation in exchange for a share of the proceeds of that litigation) and maintenance (supporting litigation, regardless of the reason) do not exist in the Portuguese legal system. Although even in common law jurisdictions these rules have lost some of their importance or have been eliminated altogether,6 the lack of prohibition in Portugal fosters more flexibility for the participants in this industry and poses fewer challenges in its application. Notwithstanding the scenario above, it is worth investigating the possible challenges litigation funding by third parties may face in relation to the Portuguese legal system. The following are the fundamental challenges: (1) verifying whether the activity of litigation funding may be subject to prior authorisation or licensing by Portuguese financial authorities; (2) assessing whether the third party funding business model may fall into a quota litis or sharing-of-attorneys'-fees model; (3) analysing the issues pertaining to attorney–client privilege; (4) verifying the extent to which third party funding may be characterised as usury; (5) analysing whether third party funding can be considered a 'monetisation' of justice and, if so, what consequences derive from that assertion; and finally (6) assessing whether it violates principles of public policy and good morals. We find it challenging to place third party funding within any of the activities of credit or financial institutions allowed under this Act (as described in Articles 3, 4-A and 6 of Decree-Law 298/92). We also question whether third party funding can be characterised as any of those activities that are exclusive to institutions of credit, as provided for in Article 6 of Decree-Law 298/92. By the same token, we cannot conclude that the modern type of litigation funding agreements fulfil the definitional requirements of the financial agreements listed in Article 2-A of Decree-Law 298/92. Equally, it does not seem correct to affirm that third party funding could be classified as an insurance activity (for the purposes of the legal regime governing access to and exercise of insurance and reinsurance activity provided by Law No. 147/2015 of 9 September), because even though the funding agreement contains the element of risk, in the very same fashion as an insurance policy, it lacks a fundamental requirement of the insurance policy: the premium, which is the typical 'price' for the insurance policy. Indeed, because third party funding in its common model is a 'non-recourse' finance model, it typically does not have a price attached. In summary, we understand that there is no legal provision under Portuguese law requiring the licensing of the activity of third party funding. It may be the case that funders may be subject to licensing and regulation to the extent that they become listed companies or need to raise capital in the financial market. However, these cases do not pertain to, and cannot be confused with, the activity of financing litigation, which remains unregulated in Portugal. The new Rules of the Portuguese Bar Association, approved in Law No. 145/2015 of 9 September, maintain the traditional rule in Portugal that prohibits the pactum de quota litis.8 This provision has the purpose of protecting the dignity of the legal profession by declaring it unlawful to waive the fees that compensate a lawyer for his or her professional performance. It does not seem to us, however, that the funding of litigation by a third party violates this rule. Even if the attorneys' fees are paid directly by the third party funder, which is a common scenario in many jurisdictions where such payment is not forbidden,9 it is only doing so on behalf of the client, and it does not call into question counsel's right to the fee. It also cannot be claimed that a third party funder is practising any form of quota litis agreement. The funder does, in fact, have a share in the proceeds of the case under the agreement with the assisted party, but such an agreement is not prohibited by Article 106 of Law No. 145/2015, because neither the funder nor the assisted party is a lawyer, nor are they acting in the capacity of a lawyer. The Rules of the Portuguese Bar Association also ban the practice of sharing attorneys' fees.10 However, in a litigation finance agreement, there is no sharing of attorneys' fees. In any event, the question that follows is whether the counsel who accepts to work under a contingency fee agreement or for a success fee (to the extent permitted by Article 106 of Law No. 145/2015) is performing the activity of a third party funder. Is the party's counsel financing the case and, as such, subject to the same consequences and treatment as a third party funder? The answer can only be a negative one. The salient issue here is not so much whether a contingency fee agreement constitutes some form of litigation finance but rather ascertaining whether counsel can be considered a 'third party'. Given the legal representation phenomenon, in Portugal, the identity of counsel and client may be considered the same and, therefore, there is no involvement of a third party in the dispute. At the same time, a party's counsel could not be held liable for adverse costs or security for costs. Aside from the issue of liability for acts in the exercise of the legal profession or vexatious litigation,11 the responsibility for paying the costs of a claim cannot be transferred to a party's counsel. Finally, it is also important to mention the confidentiality obligation of the party's counsel and the relationship between the party's counsel and the third party funder. The Portuguese legal system provides for attorney–client privilege in Article 92 of the Rules of the Portuguese Bar Association, under which the counsel has a duty of confidentiality in relation to all information provided to him or her and about the case. Disclosure of information by the assisted party's counsel to a third party funder can only be made upon the waiving of privilege by the client (i.e., with prior authorisation from the latter). Without this authorisation, the lawyers could only disclose information protected by attorney–client privilege if the disclosure were absolutely necessary for the defence of their own dignity, rights and legitimate interests or those of their clients or representatives, and with prior authorisation from the chairman of the Bar Association's regional council (Article 92(4) of the Rules of the Portuguese Bar Association). The same obligation or right does not extend to the third party funder. Except for the confidentiality obligation provided in the funding agreement, the third party funder cannot benefit from a privilege that is conveyed exclusively to the legal profession. The 'common interest' doctrine of some common law jurisdictions, extending to the funder the protection of privileged information, is not applicable under Portuguese law. Thus, a funder may be ordered by a court judge to disclose any information it has obtained during the financing of a claim. The prohibition of usury is a general principle of Portuguese law. The question of usury, however, has not been much debated in the international arbitration setting (particularly in matters involving the United States and the United Kingdom). The discussion is at best limited to whether a funding agreement can be characterised as a loan. However, in Portuguese law, the debate proves to be more significant because the prohibition of usury goes beyond the mere verification of the interest rates agreed in a contract. According to Article 282 of the Portuguese Civil Code, a transaction is voidable when a party exploits another party's state of necessity, inexperience, dependency, weak mental state or character to obtain excessive or unjustified benefits or the promise thereof, for itself or a third party. Hence, the challenge may exist when litigation finance is used to fund a party in financial distress, which is the most typical case. In these cases, we may well encounter a party in a state that qualifies as one of necessity, dependency or mental weakness. Could such a party later invoke usury to have the contract declared void? Or would that claim challenge the limits of good faith? The answers to these questions are not straightforward, but rather should be assessed on a case-by-case basis. In any event, given that the theoretical risk is significant, the funding agreement should be drafted with an eye to the limits of proportionality acceptable in Portuguese law. The Portuguese legal community may question whether third party financing could fall within the concept of transforming a lawsuit into a commodity or reducing justice to a commercial asset. This, however, seems a far-fetched idea, and one that does not consider the actual benefits of third party funding, most notably the access to justice. There may be cases where the rights of the funder in a funding agreement may be used as collateral for its operations, or those rights may even be recorded as financial assets in its balance sheets, but even these circumstances do not go so far as to characterise third party funding as a monetisation of awards and judgments. In fact, experience shows that most funding agreements do not allow for the free assignment or pledge of the funder's rights, because of the specificity of those rights and the personal nature of the funder's obligations. We have not found, in any case, any provision under Portuguese law or reference therein that may be interpreted as considering third party funding a monetisation of awards and judgments. Articles 280 and 281 of the Portuguese Civil Code consider a transaction that violates public policy or good morals to be null and void. However, we cannot find any principles of this nature in the Portuguese legal system (either of public policy or good morals) that would call into question the validity and effectiveness of a funding agreement. Neither have we found any judicial precedents that could be used to support such an argument. Even if, theoretically, any such arguments could arise, they would need to be balanced against another fundamental right, which is the access to justice that third party funding provides – a consideration often forgotten. As mentioned above, there are no laws in Portugal that regulate third party funding. For this reason, the funding agreement is not a typified (regulated) contract and it is far from harmonised. With a legal nature of uncertain status, the most cautious approach is to assess such agreements on a case-by-case basis. The most common business model of third party funding is where the funder finances the litigation, with some level of monitoring or control, in exchange for a share of the proceeds if the claim is successful. This model would not seem to constitute a loan agreement, since the repayment of the funding is not obligatory but at the funder's risk. It is not a partnership, nor a commercial company, because the structure of the funding agreement does not create a separate legal entity. What then is the legal nature of the typical funding agreement? There are those who consider the funding agreement to be a joint-venture agreement, more specifically an 'association in partnership' in Portuguese law (Decree-Law 231/81 of 28 July).12 The similitude of relations that exist between third party funding and the association in partnership may indeed allow, by analogy, the application of Decree-Law 231/81 to regulate funding agreements. In this case, Decree-Law 231/81 should be analysed to determine which contractual provisions should be expressly included, to avoid results that may not have been intended by the parties. If the parties agree that the funder will not bear the 'losses' arising from the claim, that is, that the funder will not be liable for paying adverse costs or security for costs, the contract needs to expressly provide for this exclusion.15 The lack of such an express provision may be construed as the funder's obligation to participate in the losses. The assignment of the funder's contractual standing must be expressly permitted in the contract. Article 31 of Decree-Law 231/81 provides for the assisted party's annual obligation to report to the investor. The reporting should be precise and clear on all operations the investor may have an interest in, justifying the amount of its participation in eventual losses or gains, if any. Therefore, any reporting obligations by the assisted party to the funder that are different from the provisions of Article 31 of Decree-Law 231/81, or in a more detailed manner, must be expressly included in the contract. Besides the above, the agreement should stipulate confidentiality obligations between the funder and the assisted party, including any information received from the financed party's counsel. If the funder wishes to receive information directly from the party's counsel, the waiver of attorney–client privilege must be express and in writing. The duty of disclosure of the existence of third party funding is a matter of much discussion and it relates not only to the parties' duty of disclosure but also to the arbitrator's duty of disclosure. This discussion has revolved around the following main concerns in the context of arbitration: the possible conflicts of interest of arbitrators; and the arbitral tribunal's assessment of whether a party may be considered impecunious and thus unable to pay the adverse costs of a claim, and consequently being ordered to pay security for costs. The discussion on conflicts of interest of arbitrators arises for a diversity of reasons in relation to third party funding, not the least of which is that ultimately arbitrators, unlike judges, receive their fees from the parties to perform their roles. In this context, the analysis of potential conflicts should focus on the extent to which an arbitrator, in the eyes of the parties, may be questioned as to his or her independence and impartiality in an arbitration in which one of the parties is being financed by a third party. Consistently, Article 9(3) of the Voluntary Arbitration Act (Law No. 63/2011 of 14 December) expressly requires that the arbitrators be independent and impartial in the exercise of their duties. This is a duty that cannot be waived by the parties, and violation of this duty will result in annulment of the final award. Furthermore, Article 11(1) of the Rules of Arbitration of the Arbitration Centre of the Portuguese Chamber of Commerce and Industry (also known as the Commercial Arbitration Centre) provides that arbitrators shall be, and shall remain, independent and impartial (and available); and Article 11(2) sets out that 'any person who agrees to sit on an arbitral tribunal shall sign the statement provided for in the previous article, in which he or she will disclose any circumstances which may, from the parties' viewpoint, give rise to reasonable doubts as to his or her independence, impartiality (or availability)'. In addition, General Standard 3(a) of the IBA Guidelines provides for the arbitrators' duty to disclose any facts or circumstances that may, in the eyes of the parties, give rise to doubts as to the arbitrator's impartiality or independence. On the other hand, General Standard 7(a) provides that the parties have a duty to inform an arbitrator or the arbitral tribunal of any relationship between the arbitrator and any person or entity with a direct economic interest in, or a duty to indemnify a party for, the award to be rendered in the arbitration. The official explanation to General Standard 7(a) sets out that 'Disclosure of such relationships should reduce the risk of an unmeritorious challenge of an arbitrator's impartiality or independence based on information learned after the appointment', and gives the example of an entity providing funding for the arbitration as a person having direct economic interest in the award. It should be noted that insurers are also included in the duty to disclose, as they too may have a direct or indirect economic interest in the arbitration. The question that follows from this is whether and how the Portuguese jurisdiction is giving weight to the IBA Guidelines. In this respect, albeit considered in a specific setting (arbitrations involving public entities), in four recent cases brought before the Supreme Court of Justice, and the Lisbon and Oporto Courts of Appeal, the courts considered that 'particular weight should be given to the IBA Guidelines'. In these cases, the courts relied on the IBA Guidelines as a particularly useful instrument in deciding conflicts of interest.29 Portuguese commentators have also attributed substantial relevance to the IBA Guidelines.30 As a consequence, we may conclude that General Standard 3(a) and General Standard 7(a) of the IBA Guidelines will most likely apply in Portugal. Therefore, since the issue of disclosure has a legal basis in Portuguese law and is also provided for in certain rules of international arbitration institutions,31 it follows that in arbitrations in Portugal the parties must disclose whether they have resorted to third party funding, and arbitrators must disclose whether they have any relationship with the funders. In his decision, J Waksman QC confirmed the award made by Sir Philip Otto in an ICC arbitration seated in London. The arbitrator considered the financing arrangement the claimant had made with a third party funder to be 'costs' incurred by the claimant in pursuing its claim, which should therefore be reimbursed by the defendant in the recovery of expenses. Under Portuguese law, arbitral tribunals have the authority to allocate costs under the principle of 'costs follow event', that is, the prevailing party has the right to recover the costs of the claim from the other party.36 There is no limit to this allocation other than what the tribunal deems to be 'reasonable'. Therefore, given the arbitral tribunal's discretion to allocate adverse costs as it sees fit, it is possible that a similar decision could be rendered by an arbitral tribunal applying Portuguese law. However, it is appropriate to question not whether the arbitral tribunal has this authority, as it clearly does, but rather the real or effective extent of the reach of this authority. We understand that the decision in the Essar v. Norston case should be met with criticism because it produces an unjust outcome, it is a strong deterrent to arbitration and is potentially damaging to the third party funding industry, and to arbitration in general as a consequence. The uplift payable to the funder is neither a party's cost, nor is the assisted party liable for the uplift in the form of damages. Such an understanding could lead to a double (or triple or multiple) recovery or could be characterised as unjust enrichment attributable to the prevailing party. Finally, such an understanding could have two adverse consequences for the funders: a strong argument for disclosure of the financing agreement and its conditions; and the resulting liability of the funders for the adverse costs, under the principle of ubi commoda, ibi incommoda (one who benefits from a legal regime must also assume the corresponding risks). Thus, we must watch carefully, and eventually condemn this outcome, in case a decision such as that in the Essar case is repeated in Portugal, which may well happen. On a different note, if we analyse the possibility of a court or arbitral tribunal in Portugal ordering the payment of adverse costs by the funder, as happened in the UK Court of Appeal Excalibur case,37 we may conclude that the same result would be unlikely in a Portuguese court or in a tribunal seated in Portugal. In the Excalibur decision, the Court held that the funders were required to pay the defendants' costs on an indemnity basis, even though the funders were not a party to the actions that led to the award of indemnity costs against Excalibur. The authority of common law judges seems to have a greater reach than that of civil law judges. To a limited extent, Portuguese judges have authority over third parties (e.g., to order the submission of evidence), but not to the extent shown in the Excalibur decision. However, depending on the development of third party funding in Portugal and, in particular, the level of control a funder may have in a claim, the principle of ubi commoda, ibi incommoda may eventually be taken into consideration in Portuguese courts to allocate adverse costs to a funder. A similar outcome is potentially feasible in arbitration, although the jurisdiction of the arbitral tribunal should be dealt with in a separate case under a doctrine allowing the extension of the arbitration agreement.38 Certainly, any such development should be followed carefully in the near future. As to the matter of security for costs, in theory it may be ordered by arbitral tribunals to be paid by the claimant or the defendant when the arbitral tribunal considers there to be a real and verified the risk that a party may not be able to bear the other party's costs in an adverse scenario. In arbitration as well as in court proceedings, security for costs will be raised on the grounds of being a necessary interim measure, requiring, implicitly, the fulfilment of many prerequisites, such as the periculum in mora (the urgent need for the order and the 'danger in its delay') and the fumus boni iuris (a prima facie case). However, the requirement for a party to pay the costs of the claim is a matter that the Portuguese courts and arbitral tribunals will not decide in advance so readily. For this reason, we anticipate that we may only see the imposition of this measure in extraordinary cases, and in exceptional circumstances. In any case, and in line with what has been defended in international disputes (aside from the conspicuous case of RSM v. Santa Lucia),39 we anticipate that tribunals will not assume a party's impecuniosity nor the impossibility of a party meeting its costs solely because it resorted to third party funding. It is fair to say that much of what has been discussed so far in this chapter in respect of third party funding has also been debated among the Portuguese legal community in the course of the past year. We have not seen any court or legislative developments for, as already mentioned, third party funding has not yet reached the stage of regulation or court precedents in Portugal. However, academic discussions and relevant events for practitioners, such as the inclusion of a third party funding lecture in the postgraduate course on arbitration at the University of Lisbon School of Law, the ICCA-Queen Mary Task Force on Third-Party Funding event held in Lisbon in October 2017, and the Congress of Commercial Law, also held in Lisbon, in November 2017, with a presentation on third party funding, show the signs of the development of this industry in the country. We will presently see much more progress in this direction in Portugal. Even though the third party industry is not yet fully developed in Portugal, it continues to take strides in that direction. Given the high costs of some commercial claims and the need for small and medium-sized Portuguese companies to finance the pursuit of their claims, coupled with the increase in international arbitration and the steady economic growth in size and complexity of commercial transactions in Portugal, we expect third party funding to feature increasingly in commercial and international disputes in Portugal. As the discussions on the need for regulation of third party funding grow at international level, we anticipate that it will also be regulated at some stage in Portugal. Regulation of third party funding could deal with issues such as costs related to arbitration and the responsibility of the funder for such costs; the definition of third party funding; the relationship between the funders, the assisted parties and the parties' counsel as regards attorney–client privilege, as well as the question of disclosure of the existence of a funding agreement and conflicts of interest. In conclusion, given these challenges, it would seem prudent for arbitration agreements to include certain provisions to ensure less uncertainty in potential claims, and in particular: (1) the obligation to disclose the existence of funding agreements in the event of disputes, and the content to be disclosed; and (2) acknowledgement by the parties that, as a security measure to avoid a potential annulment of the award or refusal of its recognition and enforcement under the 1958 New York Convention, the funder's eventual uplift should not comprise any recovery of costs or indemnity due to the prevailing party in the arbitration or litigation. Last, but not least, if the practice of third party funding is to grow in Portugal, it is the duty of policymakers, judges, arbitrators and practitioners to ensure that its use and practice are tailored to the particularities of Portugal's legal system, otherwise there is a risk of driving participants away instead of encouraging them to develop this industry. Framing a safe and steady practice that embraces the needs of the Portuguese business community is key to the success of third party funding in Portugal. 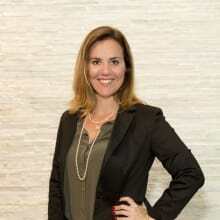 1 Duarte G Henriques is a partner and Joana Albuquerque is of counsel at BCH Lawyers. 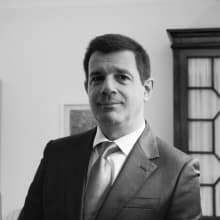 2 António Pinto Leite, 'Third-Party Funding as a joint venture and not as a mere finance agreement: the independence and impartiality of the arbitrators', VII Congresso do Centro de Arbitragem Comercial: Intervenções (Almedina, July 2014), 105–113; Duarte Gorjão Henriques, 'Third-Party Funding ou o Financiamento de Litígios por Terceiros em Portugal', Revista da Ordem dos Advogados, Ano 75 – Vol. III/IV Jul/Dec – 2015, 573–624; Ricardo Silva Pereira, 'Third-Party Funding e implicações éticas na relação com os árbitros', Revista Internacional de Arbitragem e Conciliação, da Associação Portuguesa de Arbitragem, Year No. 9 – 2016 (Almedina), 87–122. 3 See www.arbitration-icca.org/projects/Third_Party_Funding.html, last accessed 1 September 2017. 4 See, for example, https://www.arag.pt/. 5 A simple exercise to estimate the advance on costs for an ICC arbitration (see https://iccwbo.org/dispute-resolution-services/arbitration/costs-and-payments/cost-calculator/) will show that an amount in dispute of US$20 million, with one arbitrator, will require advance on costs of approximately US$200,000, with this amount increasing to approximately US$450,000 for three arbitrators. These are only the costs to start the arbitration, and do not include the arbitrator's expenses and counsel's fees. These amounts may prove prohibitive for some small and medium-sized companies. 6 This was the case in Australia. Hong Kong and Singapore also passed legislation in 2017 permitting third party funding in arbitration. The Irish Supreme Court, however, ruled on 23 May 2017 that such a funding arrangement is unlawful because it violates the country's law barring champertous agreements. 7 The 46th version being the most recent modification, from Law No. 30/2017, of 30 May. 8 Article 106(2) of the Rules of the Portuguese Bar Association: 'By “quota litis agreement” is understood the agreement between the attorney and his or her client, before the definitive conclusion of the matter in which the latter is a party, by which the right to attorney's fees is exclusively dependent on the result obtained in the matter, and by virtue of which the constituent is required to pay its counsel part of the result obtained, either in amounts in cash or in any other good or value,' (free translation). 9 For instance, under French and Belgian rules applicable to the legal profession, an attorney cannot be paid and cannot enter into any fees agreement with a party other than his or her client. 10 Article 107 of the Rules of the Portuguese Bar Association: 'It is forbidden for the counsel to share his or her fees, even as a commission or another form of compensation, except with other lawyers, trainees or paralegals with whom he or she is associated or who may have provided collaboration,' (free translation). 11 Article 545 of the Portuguese Civil Procedures Code: 'When it is recognised that the party's attorney in fact had personal and direct responsibility in the acts revealed as vexatious litigation, this fact will be notified to the relevant professional public association, so that the association may apply the sanctions and charge the attorney in fact with the portion of the costs, penalties and indemnification it deems fair,' (free translation). 12 See António Pinto Leite, 'Third-Party Funding' (2014), at 109–111. 13 Article 22(2) of Decree-Law 231/81. 14 Article 22(1) of Decree-Law 231/81. 15 Article 21(2) of Decree-Law 231/81. 16 Article 23(2) of Decree-Law 231/81. 17 Article 25(4) of Decree-Law 231/81. 18 Article 25(1) of Decree-Law 231/81. 19 Article 24(1) and (4) of Decree-Law 231/81. 20 Article 26(2) and (3) of Decree-Law 231/81. 21 Articles 28 and 29 of Decree-Law 231/81. 22 Article 30 of Decree-Law 231/81 does not specifically provide for such events of termination. 23 See Duarte Gorjão Henriques, 'The International Public Policy of the Portuguese State: A Matter of Value? ', Kluwer Arbitration Blog (4 July 2017) (at http://kluwerarbitrationblog.com/2017/07/04/international-public-policy-portuguese-state-matter-value/, last accessed on 1 September 2017). 24 See decision of the Portuguese Supreme Court of Justice of 14 March 2017, Ref. 103/13.1YRLSB.S1 (http://www.stj.pt/index.php/jurisprudencia-42213/basedados). 25 Ricardo Pereira Silva, 'Third-Party Funding' (2016), at 98. 26 Article 16 of the Rules of Arbitration of the Commercial Arbitration Centre (http://www.institutodearbitragemcomercial.pt/wp-content/uploads/2014/08/Regulamento-de-Arbitragem-do-Instituto-de-Arbitragem-Comercial-versão-18-de-Março-de-2016.pdf, last accessed on 4 September 2017). 27 Article 11 of the Rules of Arbitration of the Concórdia Centre for Conciliation, Mediation of Conflicts and Arbitration (http://www.concordia.pt/#, last accessed on 4 September 2017). 28 Article 13(2) of the Rules of Arbitration of the Arbitrare Centre for Arbitration for Intellectual Property, Domain Names, Corporate Names and Designations (https://www.arbitrare.pt/sub_regulamentos.php?id=47, last accessed on 4 September 2017). 29 See the decision of the Portuguese Supreme Court of Justice of 12 July 2017, decisions of the Lisbon Court of Appeal of 24 March 2015 and 29 September of 2015, and the decision of the Oporto Court of Appeal of 3 June 2014, all accessible at http://www.dgsi.pt/. 30 See Dário Moura Vicente (Coordinator), Lei da Arbitragem Voluntária Anotada (3rd Edition, Almedina, 2017), at 44; and Mário Esteves de Oliveira (Coordinator), Lei da Arbitragem Voluntária Comentada (Almedina, March 2014), at 129-130. 31 See Article 24, l, of the Investment Arbitration Rules of the Singapore Investment Arbitration Centre (at http://siac.org.sg/images/stories/articles/rules/IA/SIAC%20Investment%20Arbitration%20Rules%20-%20Final.pdf, last accessed on 4 September 2017); Article 4 of Administrative Resolution 18/2016, of 20 July 2016, of the Centre for Arbitration and Mediation of the Brazil–Canada Chamber of Commerce (at http://www.ccbc.org.br/Materia/2890/resolucao-administrativa-182016, last accessed on 1 September 2017); and the ICC Guidance Note for the disclosure of conflicts by arbitrators (at https://iccwbo.org/). 32 See Order No. 3 of Prof. Julian Lew of 12 June 2015, in Muhammet Çap & Sehil Insaat Endustri ve Ticaret Ltd. Sti. v. Turkmenistan (ICSID Case No. ARB/12/6), where the arbitral tribunal ordered the claimant to 'confirm to respondent whether its claims in this arbitration are being funded by a third party funder, and, if so, shall advise respondent and the Tribunal of the name or names and details of the third party funders, and the nature of the arrangements concluded with the third party funders, including whether and to what extent it/they will share in any successes that claimants may achieve in this arbitration'. See also, Article 24, l, of the Investment Arbitration Rules of the Singapore Investment Arbitration Centre. 34 Essar v. Norscot  EWHC 2361 (Comm) (http://www.bailii.org/cgi-bin/format.cgi?doc=/ew/cases/EWHC/Comm/2016/2361.html&query=(2016)+AND+(ewhc)+AND+(2361). 35 See Duarte Gorjão Henriques, 'The Essar v. Norscot Case: A Final Argument for the “Full-Disclosure-Wingers” of TPF in International Arbitration', Kluwer Arbitration Blog (15 October 2016) (at http://kluwerarbitrationblog.com/2016/10/15/the-essar-v-norscot-case-a-final-argument-for-the-full-disclosure-wingers-of-tpf-in-international-arbitration/#comments, last accessed on 25 August 2017). 36 Article 42(5) of the Voluntary Arbitration Act (Law No. 63/2011, 14 December 2011) sets out that: 'Unless the parties agree otherwise, the award must contain the division by the parties of the costs directly resulting from the arbitral proceeding. The arbitrators may decide in the award if they deem it fair and adequate that one or some of the parties compensate the other or others for the totality or part of the reasonable and evidenced costs and expenses resulting from the involvement in the arbitration.' Similarly, Article 48(3) of the Rules of Arbitration of the Commercial Arbitration Centre allows the tribunal to 'decide on the manner of division of arbitration costs, attending to all circumstances of the case, including the adverse result and procedural behaviour of the parties'. 37 Excalibur Ventures LLC v. Texas Keystone Inc. and others  EWCA Civ 1144 (http://www.bailii.org/ew/cases/EWCA/Civ/2016/1144.html). 38 See Duarte G Henriques, 'The Extension of Arbitration Agreements: A “Glimpse” of Connectivity', ASA Bulletin, Volume 32, No. 1 (2014), p. 18. 39 RSM Production Corporation v. Saint Lucia, ICSID Case No. ARB/12/10, Decision on Saint Lucia's Request for Security for Costs (13 August 2014).